The St. Peter's Basilica is the home of the current pope and the final resting place of all the previous popes. 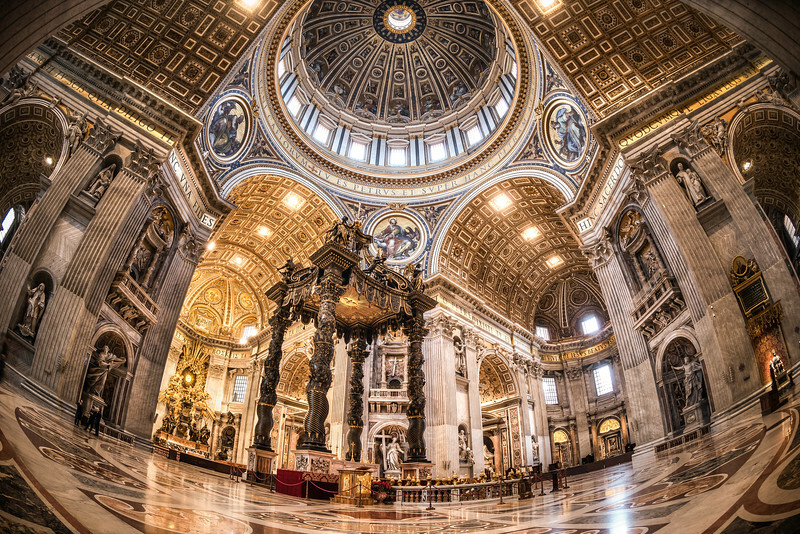 In the center, right beneath the dome, is the bronze sculpture of St. Peter's Baldachin that towers at 20m (66ft). St. Peter was laid to rest beneath this baldachin. It remains that only certain privileged persons and cardinals are allowed to enter the scared tomb of the apostle. St. Peter's Basilica (Latin: Basilica Sancti Petri; Italian: Basilica di San Pietro in Vaticano).